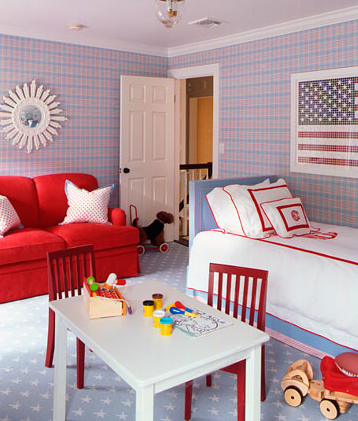 Since theme style rooms do not necessarily appeal to me, my search for inspiration for red, white and blue rooms took some extra effort. I always enjoy the fourth of July because it is the only time I would use this color combination with much creativity and fun. Now that I live in France, I am not in the United States for this patriotic holiday, and I must admit, I miss it somewhat. I do have a friend in Paris that lives in a fabulous apartment overlooking the Seine, and we will celebrate again together the 14th of July, Bastille Day. This holiday in France is also a celebration of freedom, but not as commercial as ours. We have a wonderful view of the fireworks over Trocadero and the Eiffel Tower as it lights up flashing of red, white, and blue. I remember just pinching myself last year at this glorious sight celebrated with new friends, champagne, and a breathtaking view of Paris! So, no barbecue, but champagne is not too bad! As we all celebrate our freedom on this holiday, I hope you will enjoy my ideas of inspiration for you. Happy Fourth! I love this tasteful table setting for outdoor entertaining. 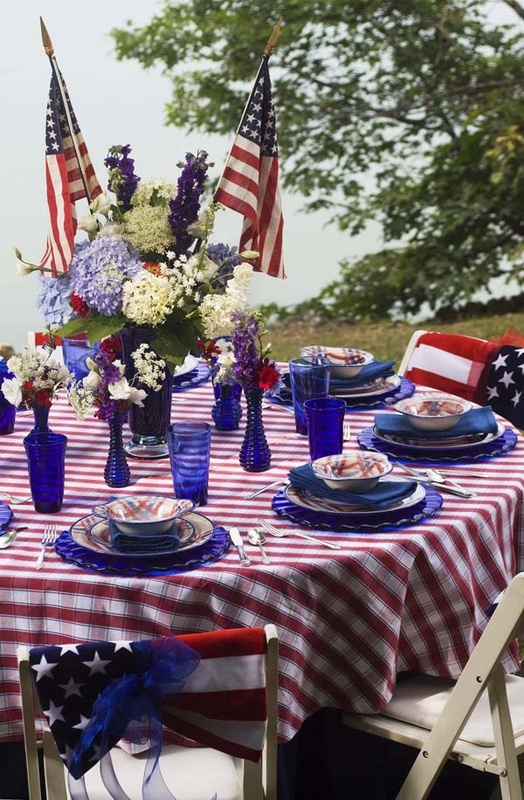 I just adore the flag napkins. 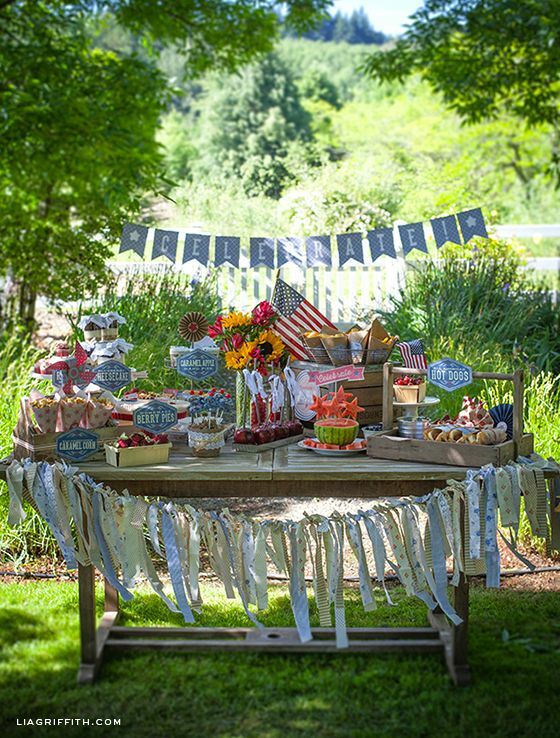 A lovely festive outdoor buffet. 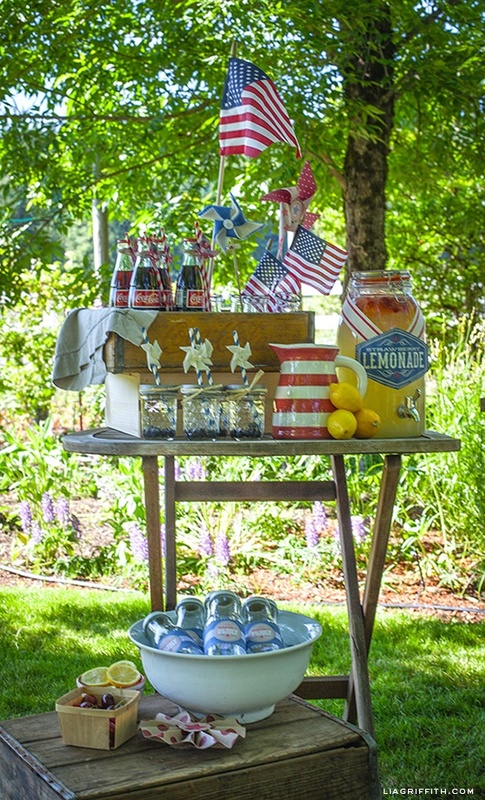 What a great way to serve cold drinks for an outdoor gathering. 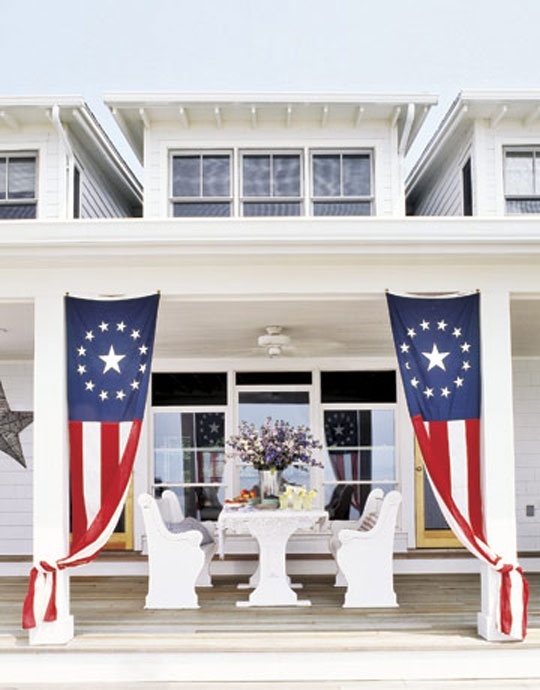 A tasteful outdoor display of the flag of the thirteen original colonies. I just love this comfortable beach house living space. 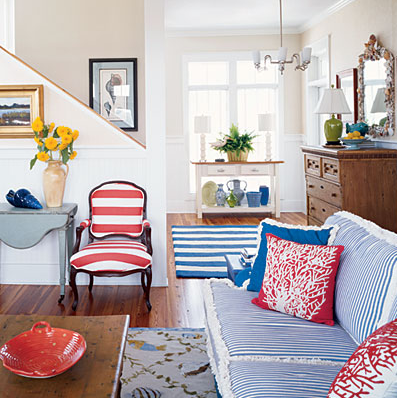 A sophisticated use of red, white and blue. 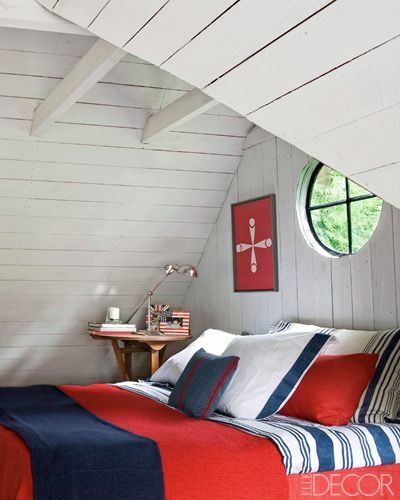 The simplicity of the design of this bed is just perfect for easy summer living. I do really like red and white bedding, especially with a monogram. So crisp and smart in this children's room.